Ability: This is Kyo's ability to control the power of darkness. He is able to shoot blast of pure dark energy and create portals of darkness that allow him to travel from place to place in a short amount of time. He can also create little demon of darkness to do his bidding and form weapons made out of pure dark energy. 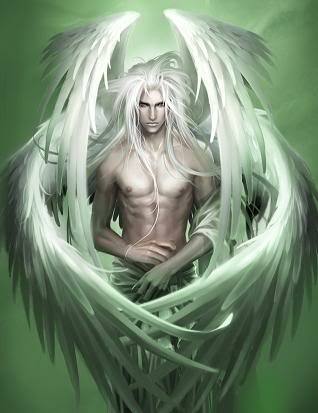 History: This is one of the powers he gained from being the son of a demon, but trained to control it with ihs father. Ability: This is Kyo's angelic power to use all forms of psychic power. He is able to manipulate objects and make them do various things with his mind such as move, lift, agitate, vibrate, spin, bend, break, impact, speed up, and slow down objects.. He is able to create barriers and use it on himself to fly. This is possible by him moving matter at the micro or macro levels with his mind. He is also able to teleport himself and even faze through objects. History: This is the power he gained from his angel's blood and was taught to master it by his mother during his years. Ability: Once Kyo is able to memorize the rythmic attack pattern of his opponents he is able to predict their moves and block it. Although this only works in hand-to-hand combat. History: Kyo picked this trait up in his martial arts training with his parents. Ability: in this form Kyo is able to use his demon powers to the fullest. he is able to surround his body in darkness and move 3x faster than he normally can. his strength is also upped along with all his other physical attributes. In this form he has the power to fly. History: Kyo trained to transform into this form while his father was still alive. Ability: In this form Kyo is able to use his angel powers to the fullest. He is able to surround his body in darkness and move 3x faster than he normally can. His strength is also upped along with all his other physical attributes. In this form he has the power to fly. 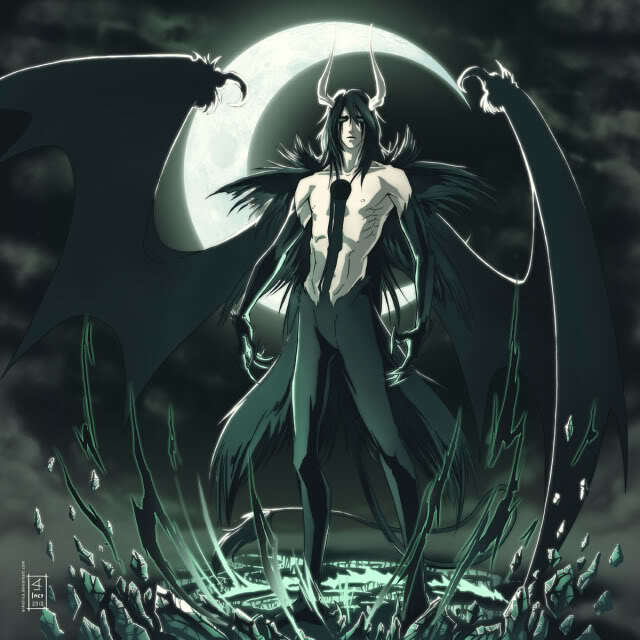 History: Kyo trained this form with his mother and is still somewhat having trouble entering this form meaning it takes him longer to enter this form than his demon form. Ability: During Kyo's training in swordsmanship he has become a master class sword user and can fight on par with anyone using a sword. Ability: Being trained in various martial arts when he was younger he has mastered different types. A few examples are Muy thai, Capoeira, Juijitsu, and Karate. He has reached master level in each of these martial arts. Ability: Kyo has mastered the art of drifting making him the best drifter in the entire school. Ability: Kyo is somewhat a good surfer, he may not be the best but he can definately handle some big waves and surf with the best. Ability: Kyo is quite fast. Faster than most creatures would. He gained this speed from his years of training. He also possesses a deadly accuracy that was also gained from training over the years.